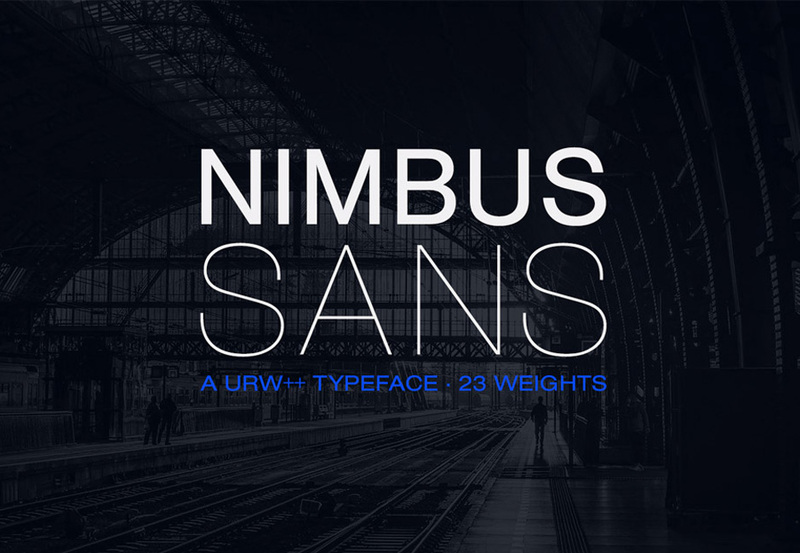 Nimbus Sans is the URW++ flagship font. Although the font is similar in view to Helvetica, some of the fonts have history predating Helvetica’s first release. For example, Nimbus Sans bold condensed, Nimbus Sans bold condensed (D) were dated 1940; Nimbus Sans Black Condensed, Nimbus Sans Black Condensed (D) were dated 1946. Nimbus Sans is a true workhorse for all environments from print to web. For this bundle, we have included 23 weights spanning 3 widths. Love your fonts and web site.